The game of darts has always been controversial, whether it’s being played or the politics behind it. The game itself once had a chequered history, and although it is now seen as one of Britain’s most enjoyable sports - It was once seen as the poor man’s highbrow snooker. 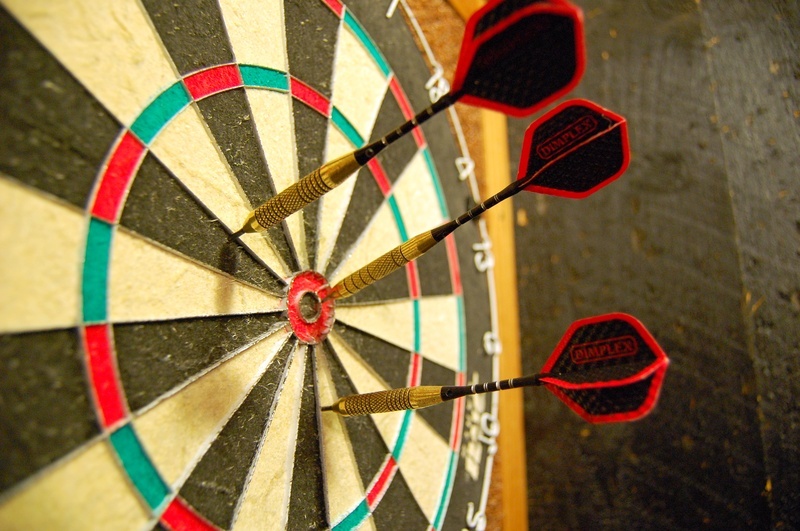 Darts back in the early 60s was still seen as a pub game, and nothing more. However that all changed when players like Jocky Wilson and Eric Bristow came onto the scene. The actual sport was still played in back alleys, with smoked filled rooms and pint glasses a plenty. Now however the game has picked itself up and cleaned itself up. Phil the Power Taylor and Michael Van Gerwen have made the sport a national and international treasure. The next hurdle undoubtedly will be for Darts to be introduced into the Olympics, however that is still a little away yet. Just like in many other sports, unfortunately the women’s side of the sport has still to be recognised fully. The women’s game lacks the coverage now unlike the men’s game, where the PDC is shown on Sky. In the late 1930s the late Queen Mother, tried her hand at darts and won against his Majesty at the time. This brought about a craze that seemed it wouldn’t stop. With women all over England wanting to follow the Queen’s footsteps and play darts. Just like some celebrity doing something now it was like that back then, a trend was started. However it was halted quite quickly as World War Two broke out. After the war ended and men returned home it was like nothing had ever happened with the Queen. When women tried to join darts leagues they were turned away and told “men only”. Although opportunities became more regular throughout the 1970s, 80s and 90s. The TV companies and sponsorship deals were still scarce. However there is good news and the sport is now growing at a faster pace than ever, as women are becoming involved at all levels in the sport. Betting on the darts has become increasingly popular, and bookies like Coral are constantly updating the odds on their site for viewers to take a punt on. As the women’s game grows, there should be the chance for it to be shown on TV, the money in the game to grow and players to get better.